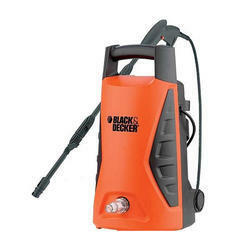 Providing you the best range of black & decker pw1370td - 1300w pressure washer, black & decker pw1570td - 1500w pressure washer, black & decker pw1300c - 1300w pressure washer, black & decker pw2100 - 2100w pressure washer, black & decker pressure washer pw1370td and ferm grm1010 - high pressure washer with effective & timely delivery. 3 Axial-piston wobble-plate pump. Automatic safety valve with low pressure by-pass Inlet water filter for more pump life. Total Stop System (pump stops when not in use). Inbuilt Accessory holder. Carry handle on the top. Quick fitting hose coupling for easy assembly and dismandle. Washes your car clean, in your home with out taking it to a garage or service centre. 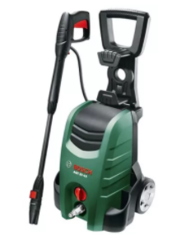 Cleans the tiles in the garden paths and driveways. Removes dirt that sticks to garage shutters, which is otherwise hard to clean. 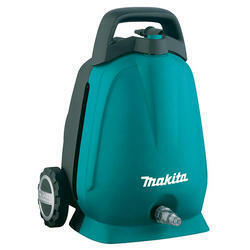 Multi purpose cleaning equipment high pressure water sprayer. Suitable for washing your home windows Floorings. High performance and silent operation. 3 Axial-piston wobble plate pump. Automatic safety valve with low pressure by-pass. Total Stop System (pump stops when not in use). Rubber Tread wheels for easy portability. Built-in accessories holder inbuilt Cable hooking arrangement Quick connect coupling for easy fitting. Removes dirt that sticks to garage shutters, which is otherwise hard to clean Multi purpose cleaning equipment and high pressure water sprayer. Suitable for washing your home windows and Floorings. Automatic safety valve with low pressure by-pass Inlet water filter for more pump life. Carry handle on the top. Quick fitting hose coupling for easy assembly and dismandle. Detergent Injector unit Square Former Kit designed to fit shape of the unit. Click-fit Gun Holder 2 Lances stored inside the machine HP Hose and Power Cord Storage. 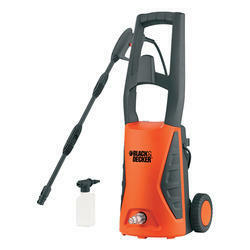 Multi purpose cleaning equipment and high pressure water sprayer. More powerful and Silent INDUCTION MOTOR. Soft-grip handle, for fatigue free use. 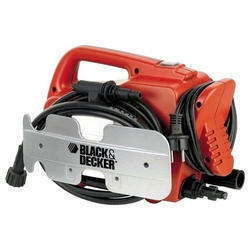 Inbuilt hose reel with locking system (manual winding) inbuilt. 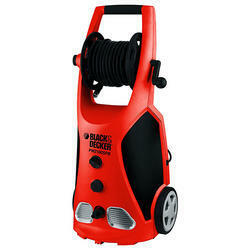 Cable holder Steel Armoured High Pressure Hose HP Hose Reel with Locking System. Car cleaning at garages and home. Cleaning the tiles, walls, garden paths, driveways, water tanks, drainages, Doors, shutters, gates, metal surfaces etc. Multi purpose cleaning equipment and high pressure water jet cleaner. 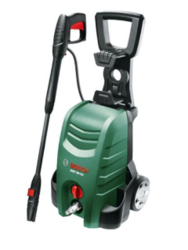 The high pressure cleaner GRM1010 is a quick and efficient for cleaning vehicles,machines,boats,buildings,etc.,by the removal of stubborn dirt using clean water and chemical detergents. When using chemical detergents,only use biodegradeable types. 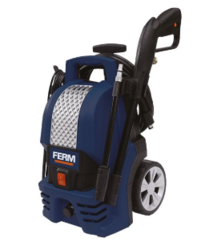 Looking for Pressure Washers ?